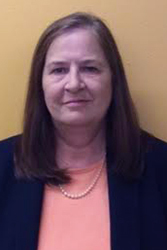 Mary joined the DCCU team in early 2018 after several years as a Senior Mortgage Loan Originator with a private mortgage lender. The best part of my job is helping people improve their life through refinancing or buying a new home. I am a UW Madison alumni and love all things “Badger” and I enjoy spending time with my family, friends and Dachshunds. The following DCCU staff are registered mortgage loan originators.